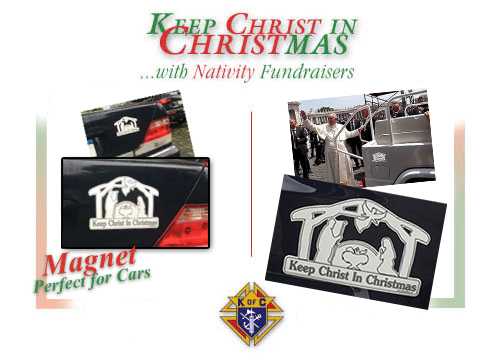 The Knights of Columbus, Father William A. Daly Council #2122 in Manhasset NY is the distributor of the “Keep Christ in Christmas” Nativity Magnets. Most organizations use this as a fundraiser by selling the Magnets for $5.00 each. You and your organization can net $700 per box of 200 Magnets with just a small investment of time and effort. We have set up tables after Mass, outside of supermarkets and local stores with a terrific response! Our Rosary Society, Columbiettes, and Squires have all used the magnet program to generate funds for their groups, while at the same time, carrying the message of the season. Purchase a box of 200 @ $1.40 each = $280.00 Plus $20.00 shipping = $300. Sell the 200 individually at $5.00 each and net a profit Of $700 per box! All the money we raise goes directly to helping our parish, their students and the poor & needy. We hope you and your group will join us in keeping Christ in Christmas! Thank You. 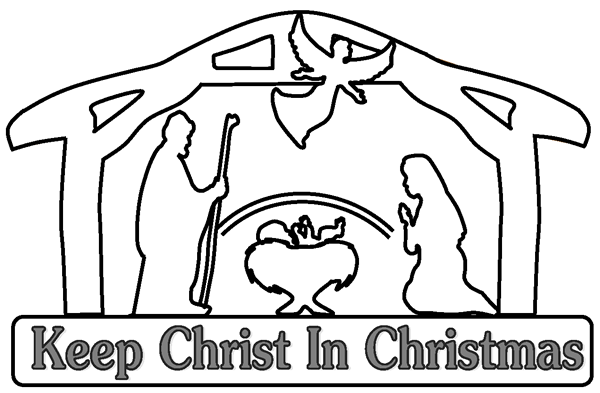 The attractive magnet is white with a black border and has the words “Keep Christ in Christmas“ emblazoned across the bottom. The new Magnet is about 7” wide x 4 3/4” tall and stands out nicely on any color vehicle. They are made of strong, high-quality magnet material so weather isn’t a factor. Can I buy less than a full box of 200? Of course!